About | Namaste. . .
Everyone’s journey lands them just where they need to be. It’s a painful idea but one I have come to believe over the years. I grew up in Connecticut, surrounded by an incredible network of family friends that were like family to me. With that network came a lot of caregiving and I had two awesome parents and brother who were always there when you needed them. The people in my life were mostly older, at least my parent’s age. That meant that I grew up around and subsequently feeling comfortable around dying and grieving. (More to come about that in a blog soon). At the age of 8, the first important person in my life died. And of course, it hasn’t stopped yet. I had several more people in my life die between then and when I was 14, I volunteered for the Jewish Home for the Elderly. I could think of nothing better to do with my time. The most important person in my life, my grandfather, died when I was 16 and I thought the world had ended. This was my first true experience with a loss that shakes the foundation of one’s world. Two years later, I went off to college and was introduced to the work of Thich Nhat Hanh who will always be my root teacher. Mindfulness came into my life and sustained me during the hard times that would follow. Junior year in college, I found out that my only brother had AIDS. My parents and I only found out after he had the full diagnosis of AIDS, back during a time when that meant a death sentence for sure. From 1993 to 1995, I was privileged to accompany him on his perilous journey of living with his dying. During this time, I was hired into my first job in social services… a case manager with an AIDS organization. It was there that I met someone who turned my life around… Lois Green, advocate, therapist, social worker, healer (again, look for an upcoming blog about Lois) and in 2001, days before 9/11, Lois died, leaving a huge hole in the world for those of us who knew her. It was in 2001 that I started working for hospice and fell in love with the work. And my heart has never left. I was certified in thanatology in 2003 (the studying of dying and grieving) through ADEC. In 2005, I decided it was time to go back and get my PhD and create a connection between my academic studies of existentialism, phenomenology, Buddhist psychology and philosophy and my passion for being present to those who were ill, dying, and grieving. Also in 2005, I started Namaste Consulting so that I could work with grieving and dying people from a Buddhist, mindful, transpersonal perspective. I have long since found that there was something lacking in traditional theories and “treatment options” for those who are living with their dying and who are grieving. I have used my love all of these ideas to reach out to others and to give other professionals something to think about. If anyone has taken something beneficial away, I hope that the merit of this work goes out into the world a thousand-fold. Here and Now: So, here I am presently… I’m about a year away from my PhD and working on my dissertation topic of Buddhism and Grieving. I feel like I’ve been given amazing teachers in my life and lessons that I couldn’t have planned to come into my life. Through this blog, I want to share stories, some of those lessons from those great teachers. I want to share what I’ve learned about meditation and end-of-life care. Most importantly, I want to honor all those who came before me, all of those who have left me here, and all of those who are a current part of my life. Please come back often and see what is going on with my dissertation and with Namaste Consulting, Inc.
12/26/11 Note: I’m playing around with some technology to figure out how to up load my own audio files. I cannot wait to add some meditations for grieving and for being with dying. That is one of my ultimate goals for this site. Honoring the Light within you! I also grew up in Connecticut. Thanks for following my blog. “It’s a painful idea but one I have come to believe over the years.” You got it! Is that Betsy Rose that did the cd of the Plum Village songs? Yes, I think it is…she is from Berkeley and she does women’s singing circles…. She has a wonderful loving kindness dvd, that has parts on youtube, with Jack Kornfield and others…and she has a new CD coming out very soon. She also has a singing circle in Berkeley. I think music is wonderful and soothing and I’m sure some people who are not feeling well, or perhaps dying, would appreciate some of these songs…I know that I would. Yes, I met Jennifer at a workshop in Rockford, IL. I have not seen anything new from her so I will keep my eyes open. Thank you for sharing so much here! I like that about blogging… we can all shine as we share the very best of what we know and love and help people connect with it who might not have access any other way. I truly honor what you have contributed here and I can’t wait to check out the link you just posted! Thanks so much for your message. I appreciate you sharing your story. It is the very thing that connects us all and yet we will talk about everything under the sun except that which can be the most transforming in life. I checked out your blog and really liked what I had seen so far. I look forward to following and learning more about your journey. Let’s hope we change open the world to healing in whatever form it comes; yoga, meditation, chanting, caregiving, breathing, etc. May we foster lovingkindness in all that we meet. This looks like quite the interesting blog you’ve got going! I’m really interested to see how your PhD work turns out. I’m always in favor of bring Buddhism more into the spotlight, working towards a better understanding of it. I’m doing similar research for an Honor’s thesis on Buddhism and psychology, and will hopefully be doing a PhD of my own at some point. Check out my blog! I like it here, Feels homey and cozy. Mind if I come back and visit some more? I truly look forward to the visits. I enjoy your blog as well. You give me a lot to think about!!! I checked out your blog as you referenced a post from my blog- Grief Life Line- regarding Stages of Grief recently and read about who you are and what you are doing. I love your perspective and agree about bringing death out into the light so that people don’t have to suffer so much. That’s my purpose as well based on my personal experiences. One thing I’d like to bring up to you is whether you are looking at the idea of there always being some purpose in the death of someone you love and to the grief journey and pain when it relates to the loss of a child. One of my significant losses was that of my infant daughter- a loss beyond words and I’ve had people say to me that “there’s a reason for everything”. I know that that is a common belief people hold to help them through difficult situations but having experienced that kind of loss has awakened me to a whole different view on that. It would be interesting to see how that is approached in the work that you are doing. I have read about different “theories” that I find interesting. I’m not searching for an answer for myself. Just curious from a more psycho-social-spiritual perspective as I work to help others. Thanks for the reference also! Wow. What a comment. Thank you sooo much. There is a lot to unpack so please know I am going to take a little time before I address everything. I think the topic of child loss is one of the most profound and delicate experiences that anyone can go through, as I have seen with my own parents and with countless parents I have worked with in my years at hospice. I look forward to sharing my ideas about this and I want to take some time rather than to just give a quick nod or off the cuff reply. Know I value your blog and your feedback and I think you have raised a valuable experience that really needs to be explored. What Cindyss say is very true, Jennifer, and there is always a positive reason for anything that happens. You help you understand I suggest you read what I have written about this – it should equip you to deal with anything that happens to you or anyone else. You can go to the website of to The Journey Up The Mountain at WordPress where you should read the Introduction. Again, I want to thank you for your comments on the about page. So, I’ve spent the week thinking about your comment about there being a purpose in the death of someone close to us. And I think this is an important area so I wanted to proceed cautiously. The existentialists were split into two camps about this very topic… there were those who believed that there was no meaning in the world and were nihilistic. There was another group who also did not believe that there was an inherent purpose, however, they did believe that we create our own meaning. In this second group, I think of Viktor Frankl. He once said, “For the meaning of life differs from man to man, from day to day and from hour to hour. What matters, therefore, is not the meaning of life in general but rather the specific meaning of a person’s life at a given moment.” And this is how I see the losses we endure. I don’t believe that there was “a” purpose to my brother’s death. There were three of us that were most affected by this loss and we all had different relationships to him and this loss. We each had to find our own meaning and purpose to live with this loss. I know that all three of us would prefer, in some ways that he was back in our lives, happily living. But he wasn’t happily living while he was here and through his dying, our lives were changed. And other people have been influenced by us. And if he was alive, he would not be healthy. Given that, I have to make sense out of this loss in order to live with it. That is where the purpose comes into the picture. I know that many people who are bereft, especially parents of young children, hate hearing that there is a purpose to the death of the person who they loved. And I struggle when I hear people saying that to them. If we come to that place, in our own lives, over our own losses, then great. But I think we have to face that for most of us, if it was the choice between us gaining some gift (compassion, insight, greater love, etc.) and the person who we lost, I cannot think of anyone I have ever met that would chose the gift instead. I also don’t think that finding meaning and purpose is a panacea or defense mechanism. I think that when we find meaning and purpose, if we do, that it helps to guide our lives. It gives us an ethic or viewpoint, a lens, that we see the world through and then act in accordance. I don’t think we use that as a way to deny the pain, though I suppose it could be. I think we have to find ways to re-create our lives and figure out how to live them without the physical presence the person we love because they are not coming back. These are just the thoughts that have been swirling around in me for the past few days. They are influenced by my philosophical and spiritual ideas and my experiences. They are also informed by the hundreds of people that I worked with at hospice, those who seemed to struggle and soar after someone’s death and those that seemed to struggle for the rest of their lives. I hope this clarifies my ideas. I love the depth here. Thank you. Thanks so much Lori Ann! I hope we can create a space where we can learn from each other and inspire others. That’s very sweet of you. Thank you for sharing this! Hopefully we make at least a small difference in someone’s life every day. Oh wow, I’m so excited to have found you and hear your story. I haven’t found too many people who approach grief the same way I do. Hearing your story reminds me that we are led exactly where we are meant to be – and I know that both of us are using our experiences to grow and help others. I use Thay’s “cradle your suffering like a baby” analogy frequently and have found “You Are Here” to be rich for blessings. I also have his Present Moment Wonderful Moment cards. When I first was given them (by the artist who does the artwork for Thay Nicholas Kirsten Honshin – you should check him out too) I was like, “What are these about? Who wants to be mindful about using the toilet?! !” LOL. Now, I really get them…it’s about being present to this moment, whatever you are doing, and not judging anything as good or bad. The concepts of no-birth and no-death have been so freeing for me in all my studying of grief after 12 deaths in 3 years. I have wondered though, how to share those ideas with a world that has such strict ideas of life and death. So excited to see you’re already doing it and can’t wait to hear more. Namaste! Have you wondered, or do you know, why you have or have had your particular children and they have, or have had, you in particular as their mother? Ian, I guess I am wondering if you are suggestioning that there are reasons for things and that this was not an accident or that there were lessons to learn? Some people do think that and I appreciate you bringing it up. Ultimately, we need to sort through things for ourselves and make our own decisions about how we perceive and process our history, present, and future. The hardest lessons can be the best teachers, can’t they? It sounds like an amazing job you’re doing. Good luck with it all. I think impermanence (of which death is an example) was the Buddha’s first and last teaching. It’s a central Buddha-dharma, isn’t it. Thanks for such kind words. 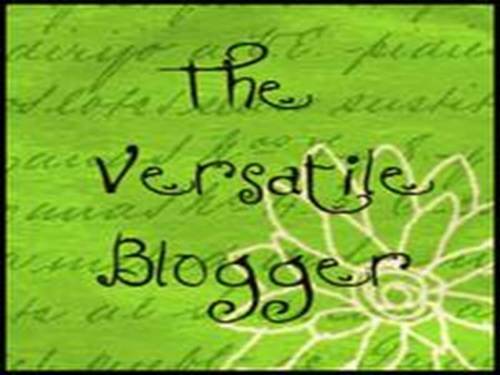 I’m finding that my “fellow” bloggers have been really lovely to me since I started this and I have really appreciated their comments and their well wishes! I look forward to keeping up with your blog and hopefully we can learn a lot from each other. Jennifer, wanted to thank you for all the support you give my work. It’s very nice to see your avatar almost daily. We have an early work history and experience of death in common. A very close friend…I often likened him to a brother as he lived with us at times when we were growing up, also died of AIDS when I was in my early 20s. My first social service job, too, was as a case manager in an AIDS organization during the same time as yours…when no one was expected to live. That followed 2 years of having volunteered in hospice. Multiple deaths were an early part of my life too. The similarities in our young lives really struck me…I’m so glad you found me and thus I could find your work too. Thank you for your lovely note. I am amazed at the kindred spirits that find each other during this journey of life. Just today, I met someone else who has a very complimentary story as well. I know it isn’t the same, but I am struck with the idea of Thich Nhat Hanh’s work where he gets Israelis and Palistinians together and teaches them deep listening and compassionate speech. They learn to listen with open hearts to each other’s narratives and see them as people, not governmental pawns. It’s so lovely. We have no idea whom the “other” is in our daily interactions, running to Starbucks, racing through the grocery store, driving the kids to soccer practice, etc. We miss the stoies behind the faces we see and miss so many opportunities for connection to some amazing people. All this to say, welcome and thank you for stepping up and sharing a bit of yourself. I love your blog and I’m enjoying getting to know the people behind the blogs I’m coming to respect. Jennifer, do you ever do book reviews? Your background would lend toward being a perfect reviewer for my novel. If you feel so inclined, please check my website http://victoriacslotto.com/ and take a look at the info about the book and my bio and contact me by e-mail.Thanks for considering this. 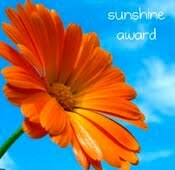 I have nominated you the Sunshine Award. I truly hope you can accepts it. The details are in my latest post. Congratulations and Warmest Wishes. !!! what a gift you are to the world. bless you and your work. Thank you so much Leigh! I really appreciate this! I’m going to try to post the award tonight… You gifted this to me on my crazy writing weekend and I’ve been recovering ever since… While it’s been crazy, I am no less honored and am quite touched. 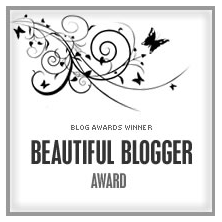 Thanks so much for following the blog and thinking it was award-worthy. You’re so welcome. Love how these awards help bloggers to network and help each other. You got a very neat and well constructed blog arrangement. Keep it up. I have been to New Haven, Milford etc CT a couple of times to look up some friends there. Originally based in NY city but now back in Malaysia on a business assignment. Its good to know that you are on this spiritual path. My beat wishes to you. If you happen to travel overseas, do drop by and I will be glad to be your host. Meantime do visit my website which is constantly updated daily. I hope you enjoyed viewing them. Hi Victor. I just wanted to say thanks for the comments. I enjoy keeping up with your blog as well. I love that this is such an inviting environment and everyone has been a great community here! Jennifer, love your blog (put you in my blogroll, hope it helps). I cannot tell you how honored I am. Thank you so much. I really appreciate your blog as well and I love the community we are creating here. Hi Anton. Just wanted to drop you a quick note and say thank you. I think I was in the process of flying out to NM when you left this message and just now saw it. A beautiful, beautiful journey, thank you for sharing. I am smiling. How lovely to share your smile with us. I’m very touched by your words. I love your blog and you were so sweet to share this with me! I am really quite overwhelmed at how so many people have been able to relate to the words I have left here in cyberspace. Thanks for visiting my blog and following. You have Wonderful blog. Thanks so much. I’m trying to go back and find messages I had not commented to when I was sick. I am sorry that this was one I missed. No issues……….. . How are now? Such generous and loving words. Thank you so much. I’m honored that you stopped by and took the time to read! Thanks for leaving a message and sharing a bit of your journey. Just found your wonderful site. This is such important work. Thank you. What a lovely comment. Thanks so much Thomas! I appreciate the feedback! Wow Shelly, I don’t know what to say. Thanks can seem so trite. It really moves me that people seem to have a really heartfelt connection with the stuff I am passionate about and I truly love that. Where I am right now, a lot of the things I think or are dear to me, are not understood. People around me don’t get what magic occurs when you are present to someone in a whole hearted way or are there with them during the suffering of loss, illness, or trying to cultivate deep connection. This blog gives me the space to do what I love and connect with those who want that to. I’m truly honored that there are people out there like you — that we get to create community if only on the net. A deep bow of gratitude and gentleness to you! I happily nominated you for the Beautiful Blogger Award. See “The Envelope, Please” at http://www.onlyhereonlynow.com. Thank you so much Thomas! I had no idea that I did not leave you a message here. I thank you for your nomination, your readership, and your blog. Keep spreading that light. Thank you so much Jean. Truly an honor to be nominated. I really appreciate all that you bring to the blogs at wordpress and our little community here. 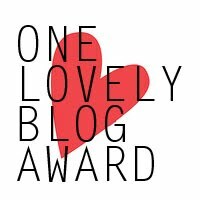 I nominated you for the One Lovely Blog Award, but it appears someone else has beaten me to it! 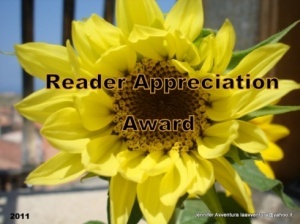 Here is a link to the post on my site: http://zensoapbox.wordpress.com/2012/07/30/the-one-lovely-blog-award/. Thank you for your inspirational posts! Hi Jennifer, I enjoy following your blog and refer my friends to it. I’ve nominated you for more awards. The Sunshine Blog Award and the One Lovely Blog award. Congratulations! I just wanted you to know that as I wrote today’s “Something Happened,” you were in my thoughts. I cannot tell you how much this meant to me! I’ve had a really hard week and not only did I cry when I read your note and your post but I had the biggest smile on my face! I honor all the light and support you put out there into our universe for us! That gratitude and joy is running in both directions. I love the idea of your blog. I am not a practicing Buddhist, but fully appreciate the doctrine, philosophy and system of belief. My mother died when I was eight. I went on to become a Nurse even tho I have dreamed of being a journalist. I do not resent or regret her death. I see it as something that was supposed to happen in my life. I worked for Hospice in admissions and marketing for a couple of years. I learned so very much from my clients. It was the most challenging work that I did in my thirty year career and I had done it ALL. It was also the most rewarding. I didn’t know there was a study of death. Now I do! Buddhism is the closest thing I’ve come across that has allowed me to welcome death into my life not as an enemy or some thief in the night. But as a friend who will beckon me to “transition” to another lifetime should I not gain enlightenment in this lifetime.